Dodge the rain and still make it to all of the holiday parties this weekend with Lyft. Plus, get $5 off your first two Lyft rides using code LYFTWITHAGENDA. 62. Sunny. 10% chance of rain. Mystery Beer Re-Release at Catawba Brewing Company: They’re welcoming a fan favorite limited release to the Catawba core line up. Noon to 11 p.m. Free admission. Details. Food Truck Friday at Sycamore Brewing: Grab food from eight of the city’s best food trucks while you enjoy live music and seasonal craft beer and cider at the last installment of the year. 5-10 p.m. Free. Details. Heineken After Work at Big Ben British Restaurant and Pub: Wizards from Hogwarts will be swooping by to help you enjoy a DJ, food and plenty of Heinekens. 5:30-8:30 p.m. Free. Details. The Whiskey Club at Ballantyne: Laphroaig Tasting at The Ballantyne: Enjoy tastings of Laphroaig such as 10 year, Triple Wood, Quarter Cask and 27 year paired with light hors d’oeuvres. 6:30-9:30 p.m. $95+. Details. October/ November Residency Showcase at Goodyear Arts: Celebrate Justin Evans, Jason Watson and Barbara Schreiber, the artists-in-residence for the next few months. Their work includes paintings on paper, poems and mixed media drawings. 6-9 p.m. Free. Details. 4x4CLT Poetry + Art Poster Series Release Party at Resident Culture Brewing Company: Hear from featured poet Maurice Manning and featured artists Chris Clamp and Hilary Siber and help celebrate the December series release. 6:30-8:30 p.m. Free. Details. Little Drummer Boy at Bojangles’ Coliseum: See Zach Williams perform all of your favorite holiday songs on The Christmas Tour. 7 p.m. $23-$45. Details. Bye Bye Birdie at Northwest School of the Arts: See the classic music brought to life and then stick around for a behind-the-scenes tour. 7 p.m. $10+ for the show, $3 for the tour. Details. Charlotte Youth Ballet’s 37th Annual Nutcracker at Halton Theatre at CPCC: The classic fairytale will feature over 100 dancers from little ones to international guest artists. 7 p.m. $20+. Details. Holst The Planets at Belk Theater: The opera was inspired by the first images produced by the Hubble Space Telescope. During the performance, you’ll be able to use your phone and a special app to make your own music. 7:30 p.m. $19+. Details. Penny Penniworth at FROCK Shop: The lost epic of Charles Dicken about crime and love is brought to life in an immersive production. 8-10 p.m. $25. Details. McGill’s Twelve Days of Christmas at McGill Rose Garden: Walk through the winter wonderland in the garden complete with s’mores, hot chocolate and more. 5-9 p.m. $3. Details. WinterFest at Carowinds: The park will come alive with a nightly tree lighting, ice skating rink, decorations, performances and more. 5-10 p.m. $26. Details. Hornets November Games Pre/Post Parties at Whisky River: Show your game ticket for half off an appetizer and free cover into the club at night. 5 p.m. to midnight. Free. Details. McAdenville: You can drive or walk around the area which has more than 160 decorated and decked-out homes, 265 evergreen trees with 500,000 lights. There’s also going to be a Christmas Town Festival Dec. 13 with music, a parade and hot chocolate and kettle corn. Lights come on at 5:30. Free. Details. Speedway Christmas at Charlotte Motor Speedway: The ninth edition of Charlotte’s drive-thru light show features more than 3.5 million lights over a 3.75-mile course, a Christmas village, a 50-foot Ferris Wheel and movies on the big screen on select nights. 6-10 p.m. $25 per car. Details. Paint & Play at Apostrophe Lounge: Enjoy live painters, spoken word, line dancing, free cupcakes, free massages, hookah, food and more while you make great gifts for your loved ones. 6-10 p.m. Free. Details. BYOG Friday at Thirsty Nomad Brewing: They have a pretty complete library of board games to play, but feel free to bring your own and stir up some friendly competition. 6:30-9:30 p.m. Free. Details. Work For Your Beer’s 2nd Birthday Bash at Free Range Brewing: The first 75 people will get a free drink and they’ll have free cupcakes and kombucha for everyone. Attendees will have the chance to win giveaways, take photos in the photo booth and hit the dance floor. 7-10 p.m. Free. Details. Welcome to the ACC Championship at the Epicentre: Join the Clemson Alumni Association and the Charlotte Clemson Club to welcome the team to the city and get hyped for the big game. 7-10 p.m. Free. Details. Winter Lodge Launch Party at Imperial: Party aprés ski style at their tented rooftop, open all season long. Your first two drinks at the launch are on the house if you RSVP. 8:30-10:30 p.m. Free. Details. The Avett Brothers: The internationally-famous folk rock band is actually a local group from Concord, NC. 8:30 p.m. $50-$90. Details. Candlelight Tango Festival at Metropolitan Ballroom: Experience the annual celebration of tango, community and culture with the Passion for Tango School of Argentine Tango. 9 p.m. $15. Details. Book Release & Author Event at Park Road Book: Author Stephen Copeland will be talking about his first book, “Where the Colors Blend: An Authentic Journey through Spiritual Doubt and Despair … and a Beautiful Arrival at Hope.” 7-8:30 p.m. Free. Details. 2018 Amplify and Activate Summit at BrandRPM: Using tools from yoga and the self-care movement, you’ll learn how to normalize conversations about difficult topics during this three-day summit. Times vary $35+. Details. Blacklight Chakti Yoga at Lenny Boy Brewing Co.: This class incorporates Kundalini foundations and HIIT for an energizing flow under the blacklights. Paint and glow sticks will be provided. 6:30 p.m. $20, free for SweatNET members. Details. NBA Basketball at Spectrum Center: Cheer on the Hornets as they take on the Utah Jazz 7 p.m. $14+. Details. Toy Drive at Walmart – Whitehall Commons: Help give more than 1,700 Charlotte kids a better Christmas and donate unwrapped toys. Power 98 will be on site broadcasting all day. 6 a.m. to 7 p.m. Donation. Details. Annual Holiday Sale & Open House at Clayworks: They’ll have a wide range of pottery for sale made by the Studio Artists and instructors. 6-9 p.m. Free admission. Details. 61. 100% chance of rain. Maggiano’s Charlotte Breakfast with Santa at Maggiano’s: Kids and parents can enjoy a buffet that will feature an omelet station, french toast bar, hot chocolate and more. After you’ve eaten your fill, kids can meet Santa and take pictures with him. 8-10 a.m. $28 for adults, $18 for children. Details. Breakfast with Santa at Cantina 1511 (Rea Road): Join Ace & TJ’s Grin Kids and enjoy a continental breakfast served at your table, a family photo session, a gift from Santa and kids activities with Mrs. Claus. 8 a.m. to noon $22. Details. Mingle with Kris Kringle at The Fig Tree Restaurant: Enjoy gourmet brunch hors d’oeuvres, pastries, juice and coffee while visiting with Santa Claus and enjoying the Christmas decorations in the historic bungalow. One hundred percent of the cost goes directly to MiraVia, a safe haven and source of hope for pregnant mothers and their children. 10 a.m. to noon $20, $10 for kids. Details. Lenny Boy Q and Brew at Lenny Boy Brewing Co.: Enjoy new beer and kombucha releases, vendors, live music and barbecue “sundaes” from The Hunter’s Wife. 11 a.m. Free. Details. From Our Cellar to You at Carolina Beer Temple: They’re cracking open the cellar and filling your glass with the year’s most incredible beers. Noon to 11:30 p.m. Free admission. Details. Cookies & Cocoa with Santa at Metropolitan: Kick off the holiday season with train rides, face painting and a free photo with Santa. 1-4 p.m. Free. Details. Beer Release at Blue Blaze Brewing: They’re releasing B. MacKaye’s Hell Raisin’ Scotch Ale in cans for the first time and on draft in an exclusively small batch. 2-7 p.m. Free admission. Details. The Best Christmas Pageant Ever: The Musical at Children’s Theatre of Charlotte – Uptown at ImaginOn: Back by popular demand is Children’s Theatre of Charlotte’s most-popular holiday show. What happens when the “worst kids in the history of the world” find out about free food at Sunday school? Worse yet, what happens when they decide to audition for the annual Christmas pageant? This could be the worst pageant ever… if it even happens. This hilarious and heartfelt musical comedy, adapted from Barbara Robinson’s classic story, will have your family laughing and crying as you celebrate the holidays. 11 a.m. & 3 p.m. $15+. Details. Opening of Under Construction: Collage at Mint Museum UPTOWN: This is the museum’s first large-scale exhibition to explore the dynamic medium of collage that Charlotte native Romare Bearden is widely credited with rejuvenating and reinvigorating. Attendees can create their own collage, listen to an artist talk, grab a drink and explore the new exhibition. 1:30-6 p.m. $15. Details. “Bye Bye Birdie” at Northwest School of the Arts: See the classic music brought to life and then stick around for a behind-the-scenes tour. 2 p.m. & 7 p.m. $10+ for the show, $3 for the tour. Details. Charlotte Youth Ballet’s 37th Annual “Nutcracker” at Halton Theatre at CPCC: The classic fairytale will feature over 100 dancers from little ones to international guest artists. 2 p.m. & 7 p.m. $20+. Details. Charlotte Symphony Youth Orchestra Winter Concert at Belk Theater at Blumenthal Performing Arts Center: The Charlotte Symphony Youth Philharmonic and Charlotte Symphony Youth Orchestra will perform a variety of music from Haydn to Corigliano. 3-5 p.m. $10-$15, children and students are free. Details. Jazzy Holiday Benefit Gala at Harvey B. Gantt Center for African-American Arts + Culture: Help the Gantt Center celebrate and honor the work of individuals and organizations working to impact and uplift the community through arts, history and culture. Dress in your black-tie best and enjoy networking, performances, dinner and cocktails. 6-10 p.m. Details. Dead Man’s Banjo Annual Christmas Show at Sugar Creek Brewing: Take control of the song list because the band is doing an all request show. All proceeds will benefit Let Me Run. 7-11 p.m. $10. Details. Expectations: A Charlotte Storytellers Showcase at Camp North End: Hear eight Charlotteans tell stories about responding to expectations. Adults only but childlike wonder welcome. 8-11 p.m. $5. Details. Sankofa Danzafro presents “The City of Others” at Duke Family Performance Hall at Davidson College: Founded in Colombia in 1997, Sankofa Danzafro seeks to build a bridge between Afro-Colombian peoples and the African continent. The company creates poetic dance as rooted in African tradition that connects to the daily as well as the contemporary. Sankofa Danzafro’s The City of Others is a work showcasing powerful Afro-Colombia and Afro-contemporary dance with live drumming and singing. 8 p.m. $12-$22. Details. The Brian Setzer Orchestra’s 15th Anniversary at Ovens Auditorium: SiriusXM for a festive performance by the swing and jump blues group. 8 p.m. $50-$70. Details. Photos with Santa at SouthPark Mall at SouthPark Mall: Santa is here for the holiday season and it’s photo time at the SouthPark Mall. Pro tip: reserve your spot in advance so there’s no wait time. Varies Free. Details. Rock Tumble & Roll at Bojangles’ Coliseum: Cheerleading teams from all over the Southeast will compete to see who will take home the Grand Champion Title and the one of a kind Electric Guitar. 9 a.m. to noon Free. Details. Christmas at the Library at The Billy Graham Library: Come and celebrate the birth of Christ with fun, family activities at the Billy Graham Library. Enjoy light displays and Christ-centered festivities with families from across the Southeast who have made this an annual tradition. 5 p.m. Free. Details. Christmas Festival and Merry Market at Greater Life Kids: They’ll have free rides, games, sand art, a vendor market and a live nativity. 10 a.m. to 8 p.m. Free. Details. Christmas Kick-Off at Ballantyne Arts Center: Kick off the holiday season with cookie painting, holiday art, a bounce house, face painting, music, gingerbread playdough and dance performances. 10 a.m. to 1 p.m. $0-$20. Details. Queen Flea Holiday Makers Market at summerbird: Shop 40-plus vendors selling local art, handmade jewelry, home decor, clothing and more. 10 a.m. to 5 p.m. Free. Details. ChristmasVille Rock Hill at Old Town Rock Hill: The best festival in the Southeast is back this holiday season with the charming streets of Old Town Rock Hill turning into a Christmas wonderland. This award-winning festival has more than 100 events and activities — including horse-drawn carriages, carnival rides, stage entertainment, an ice skating rink and Santa Claus himself. Bring the whole family and enjoy the magic of ChristmasVille. 10:30 a.m. to 7 p.m. Varies. Details. Christmas Pawty 2018 at NODA Bark and Board: Enjoy light snacks, wine and beer while you shop jewelry, toys, collars and more to benefit Great Danes Friends of Ruff Love. They’ll also have a photo booth set up for the pups with a professional photographer. 11 a.m. to 4 p.m. Free entry, photos are $20+. Details. Santa & Mrs. Claus at Heroes Aren’t Hard to Find: Bring your camera for the photo op and a new, unwrapped toy for Toys for Tots. 11 a.m. to 1 p.m. Free. Details. Winter Wonderland at SouthPark Mall at SouthPark Mall: The holiday season is here and SouthPark’s own Winter Wonderland is Charlotte’s favorite open-air ice-skating rink, not to mention, the ultimate Instagram photo op. This year, the rink is 40% bigger and features fun for the entire family including a daily afternoon snowfall, holiday lights and decor, Santa’s Pub and more. Don’t miss the special events, guests and activities throughout the season, including 103.7 WSOC bringing a Country Christmas to the rink. 11 a.m. to midnight $0+. Details. Charlotte Christmas Village at Corner of 7th Street and North Tryon: Inspired by traditional European Christmas markets, there will be a German bakery, Austrian strudels and other festive treats. Wash it all down with German Glühwein, a mulled spiced wine. You can also expect trivia, live entertainment, a Santa Village, vendors and more. 11 a.m. Free. Details. Fourth Annual Santa Paws Event at Pet Paradise – Airport: Have your pup’s picture taken with Santa Paws and help raise funds for Lucky Labs Rescue. 11 a.m. to 2 p.m. $12-$20. Details. Poptopia Holidays: A Pop-Up Shop at Foundation for the Carolinas: Shop a curated selection of great local shops from men’s and women’s clothing, to jewelry and accessories, to Charlotte-specific gifts, plus delicious bites. Guests are invited to get something for everyone on their list while supporting local businesses and browsing the beautiful art in the Sonia & Isaac Luski Gallery. 11 a.m. to 5 p.m. Free admission. Details. Charlotte Latin Pride Expo at Holy Trinity Lutheran Church: Experience a full day of Latinx music, art, dancing, food and more. Plus, they’ll have free HIV/AIDS testing for World Aids Day. Noon to 4 p.m. Free. Details. Pictures with Santa at Lucky Dog Bark & Brew Charlotte: Support Carolina Big Hearts Big Barks rescue and get your dog’s picture taken with Santa. Noon to 4 p.m. Donation. Details. Paws With Claus at Bulldog Beer and Wine: Join South End Social for a fundraiser benefitting RescuedMe. Your donation will get you digital photos of your dogs, kids and Santa and a drink ticket. 1-4 p.m. $10. Details. Santa’s Workshop at Blakeney Shopping Centers: Visit Santa in his workshop for the perfect photo opportunity. 1-6 p.m. $20-$30. Details. Holiday Pet Photos at Charlotte ReStore: Bring your pets for the photo op before or after you explore the store. Proceeds will benefit Habitat for Humanity and you’ll get digital photos emailed directly to you. Noon to 4 p.m. $10. Details. Weihnachtsmarkt at The Olde Mecklenburg Brewery: Shop more than 45 vendors at this traditional German Christmas market. On Friday, they’re also releasing their popular Yule Block beer and Santa will be making an appearance. 2-9 p.m. Free. Details. WinterFest at Carowinds: The park will come alive with a nightly tree lighting, ice skating rink, decorations, performances and more. 2-10 p.m. $26+. Details. Capture the Magic at Promenade on Providence: Enjoy carriage rides around the shopping center, festive cookies and a photo op with Santa on the Green (BYO camera). 3-5 p.m. Free. Details. Beautiez & Bikerz Reality TV series premiere watch day party at Red Diamond Event Hall: See the show’s premiere and enjoy vendors and food. They’ll have a toy drive going on so bring a toy to donate. 4-10 p.m. $10. Details. Reindog Parade at Camp North End: Bundle up your pup in their holiday best so they can strut their stuff down the street. Awards will be given to the best costumes in various categories, so dress to impress. 5-10 p.m. Free. Details. Holidays in the Garden at Daniel Stowe Botanical Garden: Daniel Stowe’s annual Holidays in the Garden event includes about a mile of lights – some synchronized with music – a Christmas village display, visits from Santa and more. Explore the gardens and then sit by a fire pit to roast marshmallows and sip on something warm. 5-9 p.m. Price varies. Details. For the Love of Hip Hop 80s vs 90s Paint & Sip at Noda28thcreativeartsstudios: Dress up in your best 80s and 90s gear and enjoy entertainment from a DJ and emcee while you paint, sip and mingle. 7-10 p.m. $32. Details. Film Screening at Holy Trinity Lutheran Church: For World AIDS Day, watch a screening of the landmark 2018 feature film, “1985.” 7-9 p.m. Free. Details. Ha Ha Ha for the Holidays at Stage Door Theater at Blumenthal Performing Arts Center: Join the Queen City Improv Room for a festive night of laughs from multiple local groups. 8-10 p.m. $10. Details. Candlelight Tango Festival at Metropolitan Ballroom: Experience the annual celebration of tango, community and culture with the Passion for Tango School of Argentine Tango. 9:30 p.m. $25. Details. World AIDS Day at Faith CME Church: Come out for a morning of information, free testing, music giveaways and more. 10 a.m. to 1 p.m. Free. Details. Festive Fairy Houses and Holiday Gnome Homes at UNC Charlotte Botanical Gardens: Register to help the fairies and gnomes spruce up their homes in time for the holidays. Supplies included. 10 a.m. & 1 p.m. $25. Details. Monthly Bird Walk at Discovery Place Science: Walk around the Museum and Freedom Park to discover birds that can be seasonally or permanently found in and around Charlotte. 10:15 a.m. Free. Details. Coffee, Conversation, Commitment at Enderly Coffee Company: Take part in a guided conversation about social issues in the community, then complete a fun and crafty service project. 11 a.m. to 1 p.m. Free. Details. Family First Presented by Novant Health at Harvey B. Gantt Center for African-American Arts + Culture: Teaching artist Natalie Chanel will lead an introductory class on the basic techniques of paper weaving and card making. 11 a.m. to 1 p.m. $5. Details. Game Night Family Code-In at Google Fiber Charlotte: Bring the family and join Digi-Bridge for an evening of coding together with food, music and giveaways. 7-8:30 p.m. $40 for a family of up to 4. Details. 2018 ACC Fan 5K & Kids Mascot Run at 420 S. Tryon St.: Kick off game day with a race through Uptown accompanied by all of your favorite mascots. Proceeds will benefit United Way. 8 a.m. $40 in advance. Details. Hip Hop Holiday Yoga at The Suffolk Punch: Flow to live music from DJ360 with teacher Erin Falls. Proceeds will benefit the Humane Society of Charlotte and attendees will get a free coffee after the class to enjoy while exploring the popup shops. 10 a.m. $5. Details. Fitness Saturday at Northlake Mall: Get your heart pumping with high-energy exercise classes for every fitness level led by YMCA instructors. 10 a.m. Free. Details. MiSFIT Dance at Red Clay Ciderworks: Work it out to the Top 40, throwback and high-energy songs and cool off afterward with a fresh pour of cider. 11:45 a.m. to 12:45 p.m. $7. Details. Dr Pepper ACC Football Championship Game at Bank of America Stadium: Watch Pitt and Clemson compete for the title of Atlantic Coast Conference champions. 8 p.m. $41+. Details. Community Cat Shelter Build at Humane Society of Charlotte: Help the cats of Charlotte get ready for lower temps by building warm shelters for them. Participants are asked to bring a 30- and 20-gallon plastic tote with them to help out. 1-2:30 p.m. Donation. Details. Animal Adoption at IKEA: Join CMPD Animal Care and Control for an adoption event featuring free cinnamon buns and coffee and pet product goodie bags from IKEA. All adoption fees will be waived with a monetary donation of your choice. 11 a.m. to 5 p.m. Donation. Details. Vanguard Furniture Factory Sale at 203 SW Simpson St.: You get two great sales in the same neighborhood with the semi-annual Factory sale for Vanguard Furniture and Robert Abbey Lighting. Shop Vanguard for savings on samples, discontinued and slightly damaged items (cash, checks, VISA and Mastercard accepted) then shop Robert Abbey for table lamps, floor lamps, chandeliers, wall lamps, pendants and more (cash only, no checks). 7 a.m. to 1 p.m. Free admission. Details. Evergreen Free TreeStore at TreesCharlotte: Residents can stop by and pick up evergreen trees like magnolias, arborvitaes, cypresses and more. 9:45-11 a.m. Free. Details. Community Pop-Up Market at Sardis Marketplace: It’s the last pop up of the year, so come to support your favorite local vendors and crafters inside and outside. They’ll also have a live band taking requests, an aromatherapist, snacks and more. 10 a.m. to 3 p.m. Free. Details. 2nd Holiday Open House at BLACKLION: Take pictures with Santa, enjoy cider and cookies and stock up on gifts for everyone on your list. 10 a.m. to 6 p.m. Free. Details. Annual Holiday Sale & Open House at Clayworks: They’ll have a wide range of pottery for sale made by the Studio Artists and instructors. 10 a.m. to 3 p.m. Free admission. Details. Charlotte Music Collectors Shows at SpringHill Suites by Marriott Charlotte Ballantyne Area: Dealers from all over the south will be selling vinyl Lps, 45s, CDs, music DVDs, memorabilia and more. 10 a.m. to 4 p.m. $2. Details. Trunk Show at Courtyard by Marriott Charlotte SouthPark: Koudr’e by Anushka is coming to town with everything you need to complete your desi wardrobe. 11 a.m. to 6 p.m. Free. Details. 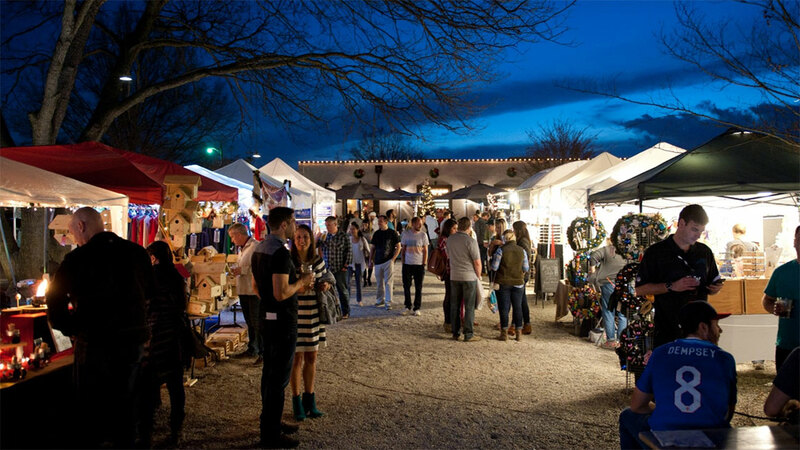 Plaza Midwood Holiday Bazaar & Workshop at Resident Culture Brewing Company: Skip the mall and get your holiday shopping done in the company of your community. You’ll get to make your own Christmas Light Balls to hang on your trees while listening to caroling from Opera Carolina, and kids and pups can take pictures with Santa. Noon to 11 p.m. Free. Details. NoDaHood Holiday Market at Divine Barrel Brewing: Twenty vendors will be displaying their goods and services ready to help you start your holiday shopping. They’ll also have live music, breakfast from Chop & Chisel, a yoga class and more. Noon to 4 p.m. Free. Details. Open House Launch Party at City View Terraces: Tour the model unit and learn more about the 14 houses and duplexes hitting the market this weekend. Refreshments provided. Noon to 3 p.m. Free. Details. Holiday Pop Up Market & Psychic Fair at Lenny Boy Brewing Co.: Join SHiFT Charlotte for a mind-body-spirit family shopping event. Over 50 vendors will be present alongside a full Psychic Fair. Attendees will get a raffle ticket and a crystal. Noon to 6 p.m. Free. Details. Girls Rock Holiday Gear Sale at Free Range Brewing: Score some deals on gifts for the rockstars in your life. Gently used drum kits, electric cars, amps and more will be on sale and all proceeds will go towards 2019 summer camps. 12:30-4 p.m. Free admission. Details. 73. 40% chance of scattered showers. Brunch with Santa at Birdsong Brewing Co.: Skip the mall and get your photo with Santa while you brunch. 11 a.m. to 1 p.m. Free admission. Details. Santa’s Holly Jolly Dinner at Carowinds: Join Mrs. Claus for a traditional holiday buffet in the park, pictures with Santa and selfies with all of the WinterFest characters. 4 p.m. $50 includes admission and meal. Details. PCG Chefs: A Collaboration Dinner at Catawba Brewing Company: Enjoy an evening of live music and craft beers paired with an eight-course meal made by eight local chefs. Proceeds will benefit the Piedmont Culinary Guild. 5-9 p.m. $85. Details. The Best Christmas Pageant Ever: The Musical at Children’s Theatre of Charlotte – Uptown at ImaginOn: Back by popular demand is Children’s Theatre of Charlotte’s most-popular holiday show! What happens when the “worst kids in the history of the world” find out about free food at Sunday school? Worse yet, what happens when they decide to audition for the annual Christmas pageant? This could be the worst pageant ever… if it even happens. This hilarious and heartfelt musical comedy, adapted from Barbara Robinson’s classic story, will have your family laughing and crying as you celebrate the holidays. 2 p.m. & 4 p.m. $15+. Details. Charlotte Youth Ballet’s 37th Annual Nutcracker at Halton Theatre at CPCC: The classic fairytale will feature over 100 dancers from little ones to international guest artists. 2:30 p.m. $20+. Details. Holst The Planets at Belk Theater: The opera was inspired by the first images produced by the Hubble Space Telescope. During the performance, you’ll be able to use your phone and a special app to make your own music. 3 p.m. $19+. Details. Concerts: Christmas with Myers Park UMC at First United Methodist Church – 501 N Tryon Street: Join the Music Ministry of Myers Park United Methodist Church for their annual Christmas Concerts. A highlight of their Christmas season, the 150 voice chorus, comprised of the adult, youth, and children’s ensembles will join with a full orchestra featuring their own Myers Park Strings, regional symphony members, and the adult handbell choir to ring in this season. This event is family friendly and no tickets are required. 4 p.m. & 6 p.m. Free. Details. Christmas with Myers Park UMC at First United Methodist Church: Enjoy a festive holiday concert by the 150 voice chorus and a full orchestra featuring regional symphony members. 4-7 p.m. Free. Details. Photos with Santa at SouthPark Mall at SouthPark Mall: Santa is here for the holiday season and it’s photo time at the SouthPark Mall. Pro tip: reserve your spot in advance so there’s no wait time. Varies. Free. Details. Winter Wonderland at SouthPark Mall at SouthPark Mall: The holiday season is here and SouthPark’s own Winter Wonderland is Charlotte’s favorite open-air ice-skating rink, not to mention, the ultimate Instagram photo op. This year, the rink is 40 percent bigger and features fun for the entire family including a daily afternoon snowfall, holiday lights and decor, Santa’s Pub and more. Don’t miss the special events, guests and activities throughout the season, including 103.7 WSOC bringing a Country Christmas to the rink. 11 a.m. to 11 p.m. $0+. Details. Christmas In Candyland Tour at Victory Lane Karting: Experience the ultimate Christmas experience complete with photos with Santa, free toy giveaways, gift bags, festive bowling and go-karts and more. 11 a.m. to 7 p.m. Free. Details. Candlelight Tango Festival at Metropolitan Ballroom: Experience the annual celebration of tango, community and culture with the Passion for Tango School of Argentine Tango. 11:30 a.m. to 3 p.m. $25. Details. ChristmasVille Rock Hill at Old Town Rock Hill: The best festival in the Southeast is back this holiday season with the charming streets of Old Town Rock Hill turning into a Christmas wonderland. This award-winning festival has over 100 events and activities — including horse-drawn carriages, carnival rides, stage entertainment, an ice skating rink, and Santa Claus himself. Bring the whole family and enjoy the magic of ChristmasVille. Noon to 6:30 p.m. Varies. Details. Santa’s Workshop at Blakeney Shopping Centers: Visit Santa in his workshop for the perfect photo opportunity. Noon to 4 p.m. $20-$30. Details. Brew Line Extension Party at NoDa Brewing Company: Celebrate the opening of the Lynx Charlotte Light Rail’s Blue Line Extension that’s within easy walking distance from the brewery. Noon to 7 p.m. Free. Details. The Cheer Starts Here at The Daily Tavern: They’re celebrating the season and their first birthday with a toy drive for Kids First for the Carolinas, carolers, a DJ, free food, drink specials and a raffle. 4 p.m. Free. Donation. Details. The Queens’ Gala at Mcknight Hall: Celebrate all natural beauty and show up dressed your best without artificial enhancements. Attendees will watch a documentary about all natural pageants, watch contestants, vendors, food and more. 4:30-8:30 p.m. $15. Details. 5th Annual NoDa Christmas Tree Lighting at Johnston YMCA: Help bring the tree to life with community ornament making, hot chocolate and cookies, games, a visit from Santa and more. 5:30-8:30 p.m. Free. Details. Speedway Christmas at Charlotte Motor Speedway: The ninth edition of Charlotte’s drive-through light show features more than 3.5 million lights over a 3.75-mile course, a Christmas village, a 50-foot Ferris Wheel and movies on the big screen on select nights. 6-10 p.m. $25 per car. Details. Make Your Own Butterbear Bath Bomb! at LUSH Cosmetics: Get hands-on, create a cute cocoa butter fizzer and learn how all of their bath bombs gets handmade in North American kitchens. 9-11 a.m. Free. Details. Winter Wreath Workshop at Covet Atelier: Make a hand-form natural winter wreath from local greenery, eucalyptus, and dried herbs. Light refreshments will be provided and the store will be open for holiday shopping before and after. 1-3 p.m. $37. Details. Yoga on the Court at Spectrum Center: Flow through a one-hour yoga class on the court, then stick around and watch the pre-game shootaround and the game against the New Orleans Pelicans. Ticket includes the yoga class, access to the shootaround, tickets to the game and your first beer. 1:30-5 p.m. $27+. Details. Panthers Watch Party at Caswell Station: Start the day with $2 mimosas and $4 bloody marys, then stick around and watch the game with more drink specials. 10 a.m. to midnight. Free. Details. Football Sundays at Hoppin’: They have Sunday Ticket and RedZone for all of your viewing needs and will have the sound on for the Panthers. Plus, orange and cranberry juice for mimosas are complimentary. 11 a.m. to 10 p.m. Free. Details. Christmas Tailgate at Blackfinn Ameripub: Grab a cold one (or spiked hot cocoa) and watch the game on the big screen. They’ll be doing giveaways throughout the game. Noon to 4 p.m. Free. Details. Panthers Watch Party and Boozy Brunch at Resident Culture Brewing Company: GyroTwins will be serving a custom brunch menu all day and the brewery will have $6 mimosas, craft beer served in tekus and the game on the big screen with sound. Noon to 8 p.m. Free. Details. Black & Blue Blaze Tailgate at Blue Blaze Brewing: 64-ounce pitchers of beer will be on special and they’ll be showing the game on a 12-foot projection screen. Outside, they’ll have fire pits, lawn games and grills available for you to use. 12:30-4:30 p.m. Free. Details. Football Game Watch at Lucky’s Bar and Arcade: Whether you’re a Panthers fan or a Detroit fan, come cheer on your time with their games on the 20 big screens. 1-11 p.m. Free. Details. NBA Basketball at Spectrum Center: Cheer on the Hornets as they take on the New Orleans Pelicans. 5 p.m. $10+. Details. Holiday Sip & Shop at 16735 Ansley Walk Lane: Come sip and shop with talented local creators selling jewelry, artwork, home decor and more. 2-6 p.m. Free. Details. 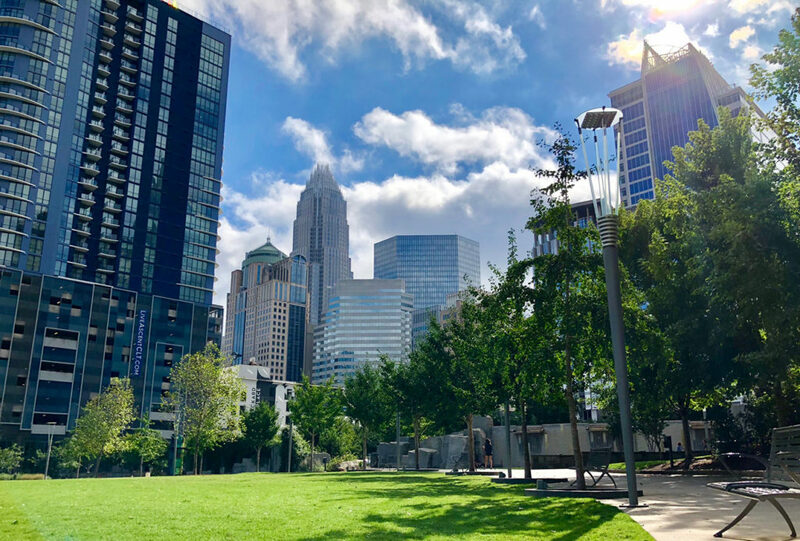 Charlotte’s 250th Anniversary Celebration: Celebrate the Queen City’s 250th birthday with fun activities at libraries, schools and the Square at Trade & Tryon. And, yes there will be cake! #CLT250. Dec. 3. “Nutcracker”: Don’t miss the quintessential holiday experience with the sights and sounds of the “Nutcracker.” Join Clara, the Mouse King and the iconic Sugar Plum Fairy for a stunning performance of a holiday classic with breathtaking sets, costumes, choreography by Jean-Pierre Bonnefoux and music from the Charlotte Symphony. Pro tip: Agenda readers get $5 off per ticket in zones 1-4 with code AGENDA. Dec. 7-23. Topgolf’s Big NYE Bash: Ring in 2019 at Topgolf and enjoy live entertainment, a chef-inspired menu and an unforgettable midnight celebration. Upgrade to the VIP experience for exclusive access to an all-inclusive Premium NYE Feast with carving station and a bottle of bubbly to share with friends. All New Year’s Eve packages include unlimited gameplay. Dec. 31.